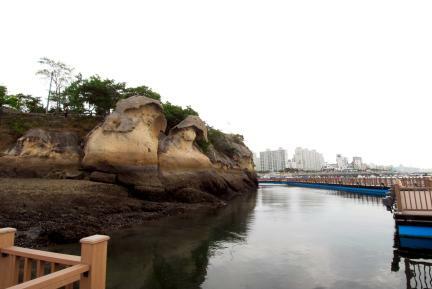 목포 갓바위는 해수와 담수가 만나는 영산강 하구에 위치해 풍화작용과 해식작용의 결과로 형성된 풍화혈(風化穴; tafoni)로서 삿갓을 쓴 사람의 특이한 형상을 하고 있다. 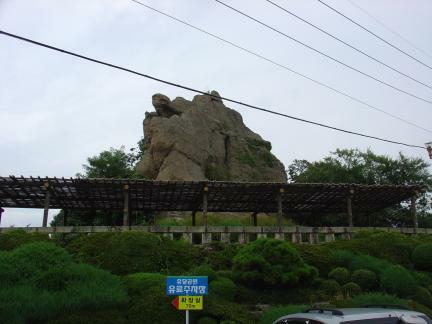 이와 같은 풍화혈은 노출암괴에서 수분이 암석내부로 쉽게 스며드는 부위(균열 등)에 발달하며, 스며든 수분의 부피변화로 야기되는 물리적 압력에 의해 암석을 구성하는 물질이 보다 쉽게 입상(粒狀)으로 떨어져 나오는데, 일단 풍화혈이 생성되기 시작하면 이곳은 햇빛에 가려져 더욱 많은 습기가 모여 빠른 속도로 풍화되면서 풍화혈은 암석 내부로 확대된다. 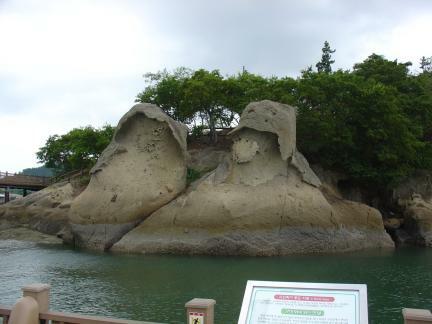 목포해안 갓바위는 인위적 요인이 전혀 작용하지 않고 해역의 풍화환경에서 자연적인 과정으로 빚어진 풍화혈 상태의 자연 조각품이며 다른 지역 풍화혈들에서는 찾아보기 힘든 희귀성 을 가지고 있다. 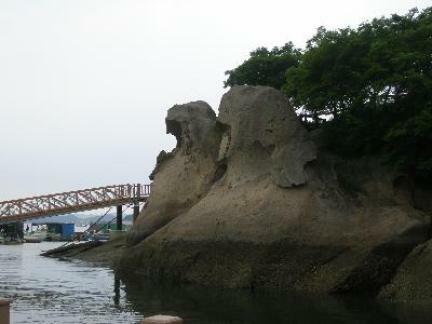 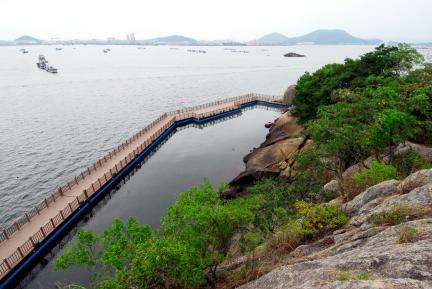 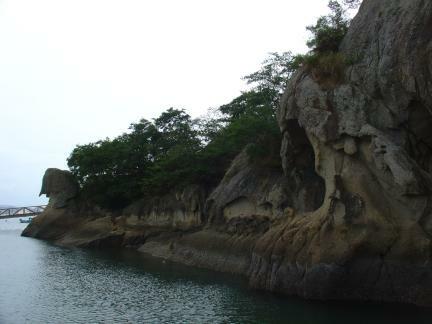 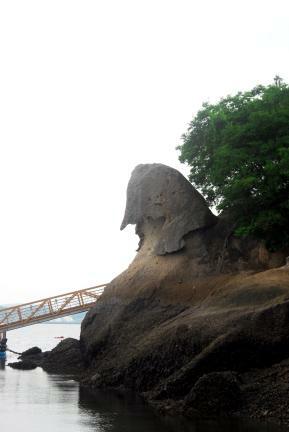 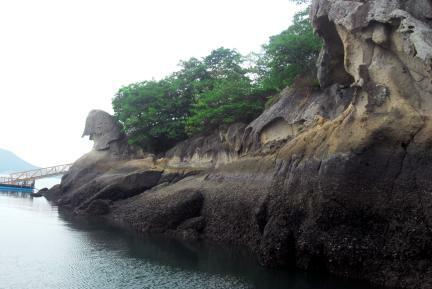 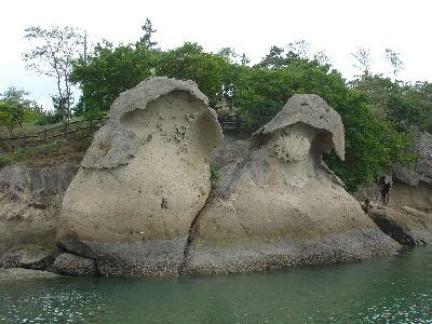 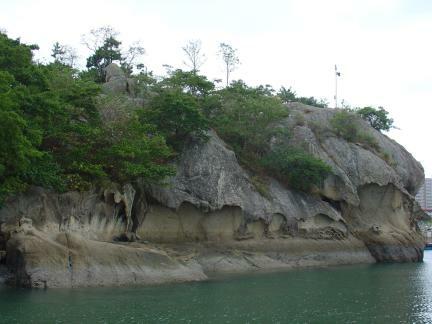 The Gatbawi Sea Cliff of Mokpo is a rock formation, located at the estuary of the Yeongsangang River where freshwater meet seawater. 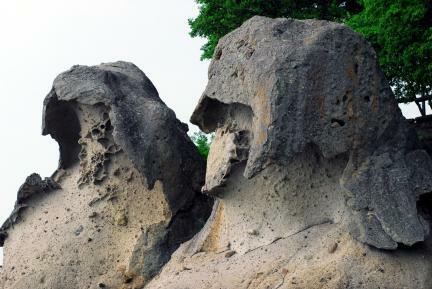 The rock formation of tafoni type, created from weathering and erosion, has a peculiar appearance reminiscent of two men wearing a conical hat. 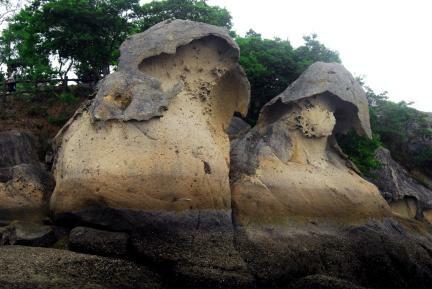 Tafoni are usually formed in exposed outcrops of a rock mass that can be easily penetrated by moisture. 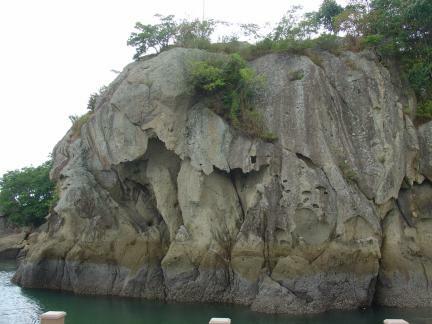 The internal moisture induces volume change, which, in turn, results in mechanical pressure, causing granular disintegration of the rock. 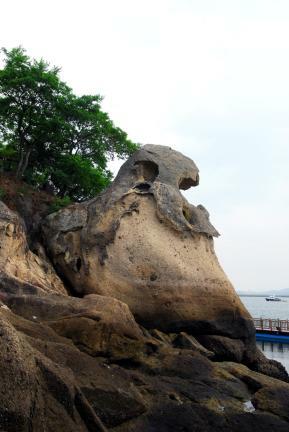 Once a tafone starts to form, the weathering process accelerates, as the affected area is shaded from the sun, allowing more moisture to penetrate the inside of the rock and the disintegration to extend to the inner area. A nature-made sculpture, created solely through a slow weathering process, the Gatbawi Sea Cliff of Mokpo is spectacular in appearance and is, in this regard, comparable to no other tafoni in Korea.